Bhola Govt. College is one of the best colleges of Bangladesh. This college situated at the centre of the city was established in 1962. It is the proud of the district for having an excellent academic record and meritorious result in the HSC and B.A., BSS, BCom , Honours and Masters examination. In 1996 Honours courses were started here. For its having the best environment of study and the vast scope of exercising co-curricular activities, this college is proud to offer an excellent opportunity of building up the future leaders of the nation. 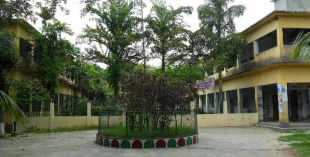 The college is also the centre of attraction for having Academic Building, Library, Computer Lab, Mosque etc. It is now running HSC and B.A, BSS, BCom, Honours and Masters courses with thousands of students. Rover Scouts, B.N.C.C. teams are also functioning here.